Large hotel rooms which allow free movement and all basic amenities make the Purple Lotus an amazing property in Ashok Nagar. 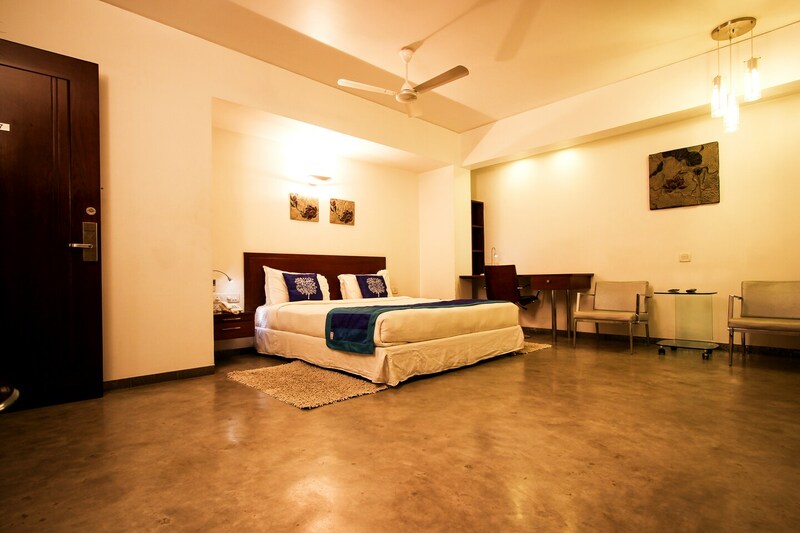 The rooms are well-furnished and the impressive lighting makes the room well-lit. A mini fridge is provided in each room. The guests can use the laundry service provided by the hotel. A conference room, an in-house restaurant is provided along with a common lounging are for the guests to relax after a long day at work. Facilities at the hotel include card payment option, CCTV cameras and parking space.